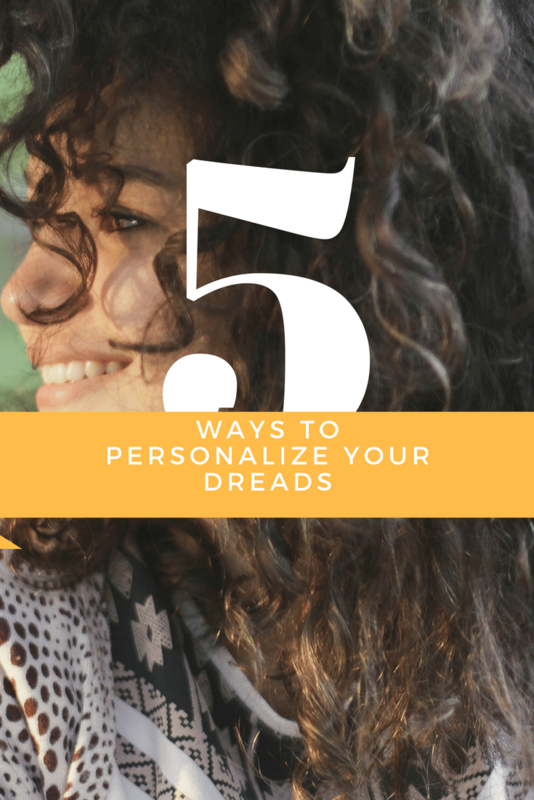 Those people are clearly both uninformed and unimaginative because aside from the obvious fact that dreads are awesome, there are tons of ways to personalize them any way that you want to represent your style and personality. Dreads have become so popular and there has been a huge spike in the creativity and customization of them as well. Let’s take a closer look at five ways you can amp up your dreads! This is one of the oldest and still a hugely popular personalization choice. By wrapping string tightly around the dread you are adding a pop of color, a smoother texture and shape, and giving your dreads a particular “handmade” look. Choose any color of the rainbow for these as well and you can have any color you want swirling around your head. You can wrap half the dread, the whole dread, or just the last few inches to give added dimension. So many choices! This is another obvious choice that has always been a crown favorite. Beads are a super way to add different levels to your hair. They snap in or slide on easily and with a little teasing and poking should stay in place for a while. They come out just as easily to change your look or just to move them around- a choice you don’t have as easily with the string wrapping. These also come in many colors and even wild shapes but maybe the most popular are wooden beads. These give a distinct “island” vibe and made anybody look super suave with dreads. If you are looking for a more permanent option, you can easily dye dreads. We say easily but it does take time to get an entire dread to take a color well but with a little effort, this will last a while. Dip the ends, color the edges, or do your whole head the color you’ve always wanted. Go bright and vibrant with neon cotton candy colors or a darker more subtle black or brown combination. A safe color treatment is always a fun change of pace that is easily altered with the seasons since we can’t just cut our hair or style it the same way everyone else can. A simple no brainer is adding accessories when you have dreads. Anything from bandanas to headbands, to full scarf wraps, it doesn’t matter. They all look awesome. These are fun because they aren’t permanent and take little to no time to use and put on, plus they can help bring a whole outfit together. Another benefit is that by using silk scarves or headbands, you might actually be helping fight frizz that might otherwise make its way out and about. There are tons of options in tons of colors and patterns to fit everyone’s personality so buying a few accessories is both a good idea and nearly impossible because we always buy more. This is a factor you have to consider from the beginning. For basically the whole first year, your dreads will be going through some really noticeable changes. If you had long hair before, understand that your dreads will be significantly shorter and might even shrink up with time. They might also wrap and dread very well and become smooth and flat much more quickly than someone else. That’s the beauty of hair. It’s all different and changing all the time. You can choose the length of your dreads in one direction. You can cut and trim them, with proper techniques and tools, to keep them a length you want them that works best for you. You can also be particular about the placement. Not sold on the idea of a full head of dreads yet? Start a few in the lower sections of your hair. Place them so they can only be seen from a few angles and test them out this way. Another popular choice is to leave out bangs or hair strands that frame the face. This helps keep a shape so it won’t always look like noodles flying around your head even if it feels like it. With dreads, initially it might seem like your options are limited but in reality, we have the same options- just different tools and accessories.